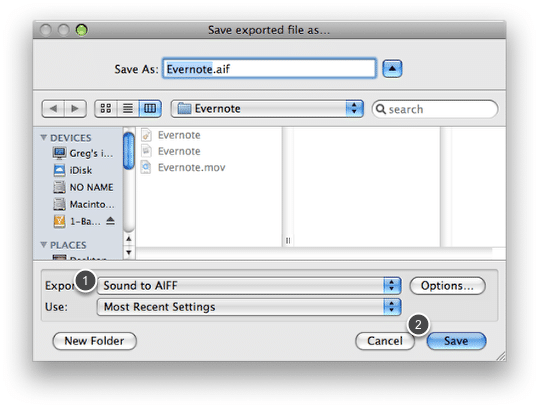 Screenflow is a great screencasting application. 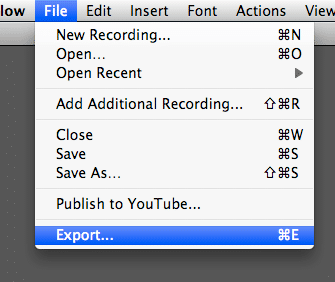 But it doesn't offer much in the form of audio editing. 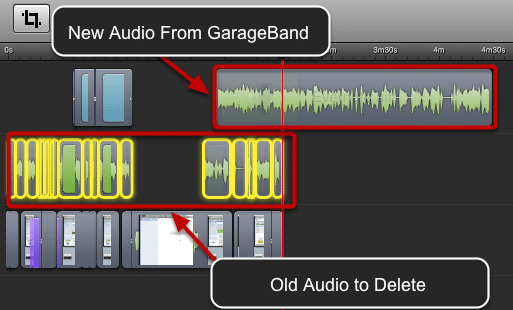 In this post I will show you a simple method for editing your audio in GarageBand and bringing it back into Screenflow. 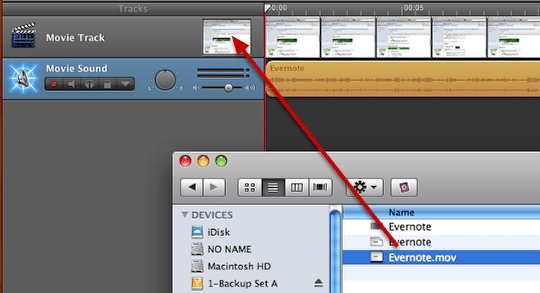 A little background on this: I have been using this method for awhile with Screenflow and Garageband. Last week we wanted to get Trevor going creating some screencasts, so we purchased a Screenflow license and Trevor got started creating some videos. 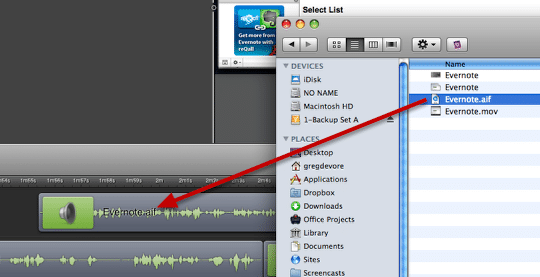 I whipped this lesson up in ScreenSteps to show him how to improve his audio. Video size and quality doesn't matter. Just make sure the audio quality is good. I probably should export the audio as AIFF here but AAC seems to work fine for me. 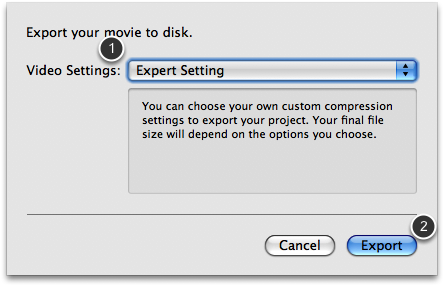 Drag the movie that you exported from Screenflow onto your GarageBand project. 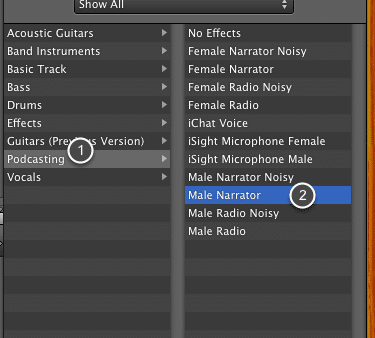 I just use Male Narrator. It applies just a bit of EQ and compression. At this point I usually quickly go through and cut out any pops, clicks or other noises. 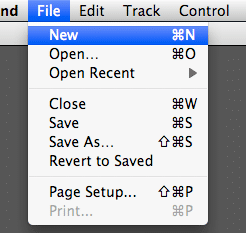 GarageBand makes this very simple. 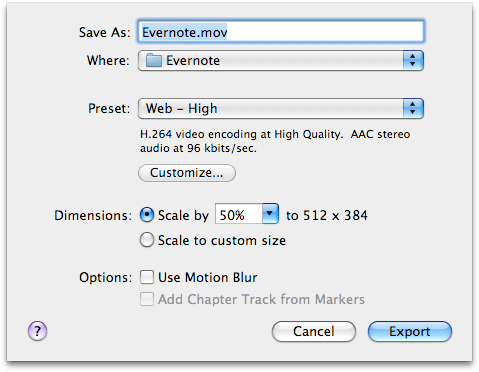 Drag the audio file you just created onto your Screenflow project. A new track will be created. 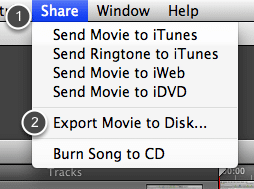 You are now going to delete the original audio from your Screenflow project. 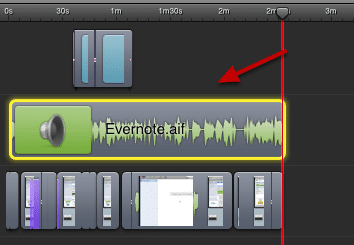 If the audio is merged into your video recording then you will first need to detach it. 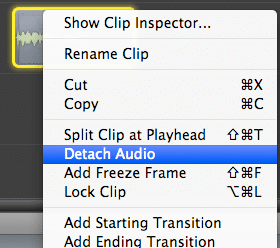 Right click on the clip and select Detach Audio. 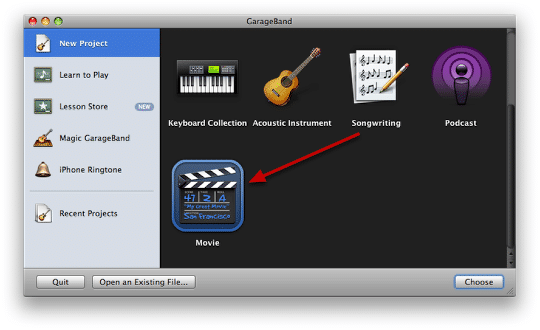 Now just position the new audio file from GarageBand at the beginning of your project. 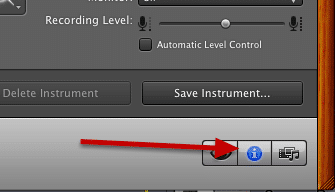 Everything should line up fine and your audio will sound much better.